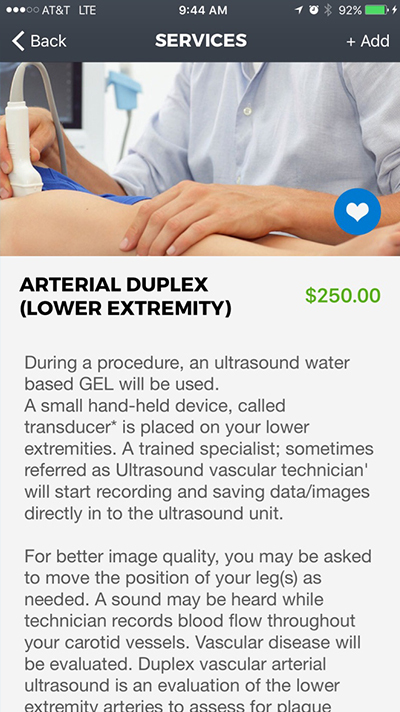 ProDiagnose – Ultrasound Tests in the Comfort of Your Own Home. 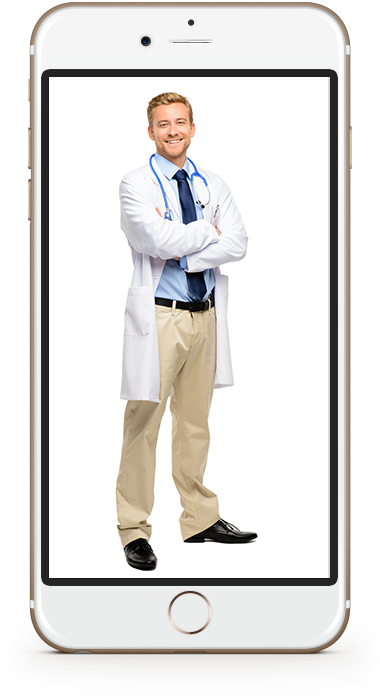 ProDiagnose is the only app on the market which enables you to receive any type of ultrasound test from a board-certified professional in the comfort of your own home and at special lower prices. 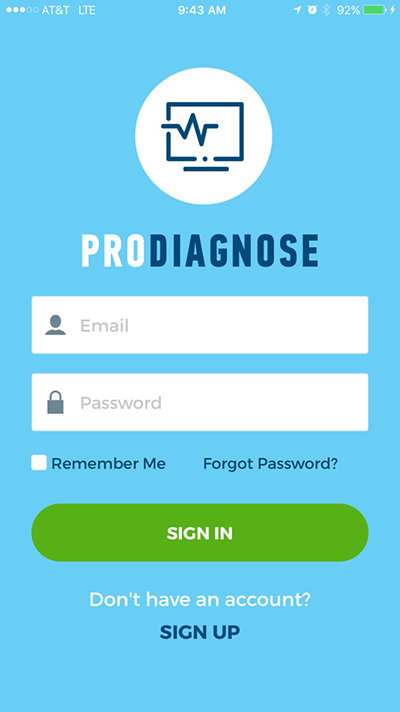 ProDiagnose is, hands down, the fastest, easiest and most economical way to get an Ultrasound test. 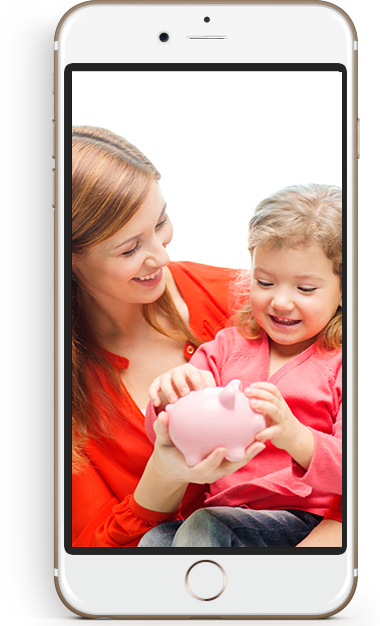 Download our free app now! 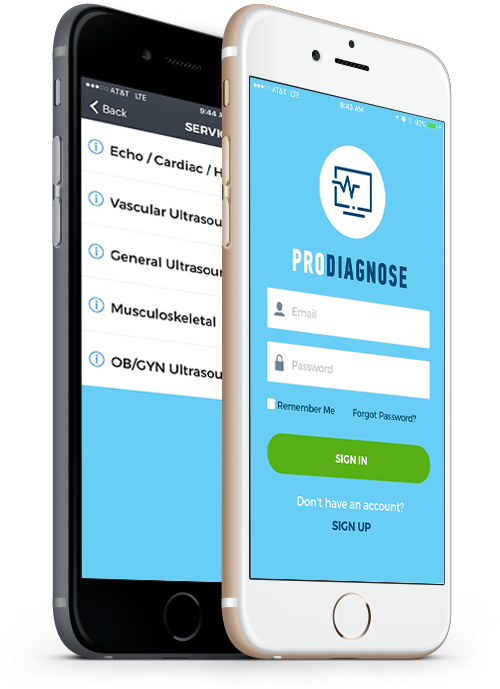 Schedule your Ultrasound appointment with ease using your ProDiagnose app. At your appointment time, we send a board-certified technician to your home with a fully-functioning, portable Ultrasound machine to conduct your test on the spot. Test results are then forwarded to and analyzed by a highly-trained board-certified radiologist who provides a complete report of the findings. You receive the report, which is confidential for your eyes only, within three to five business days. And, due to our high volume of business, we are able to pass on lower prices to you! 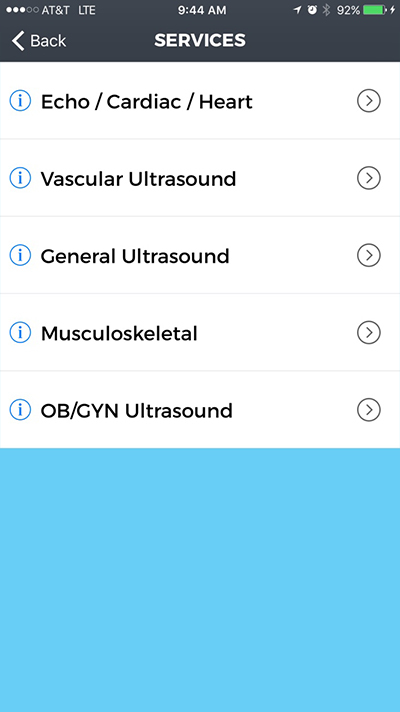 Schedule your Ultrasound appointment with ease using your ProDiagnose app. 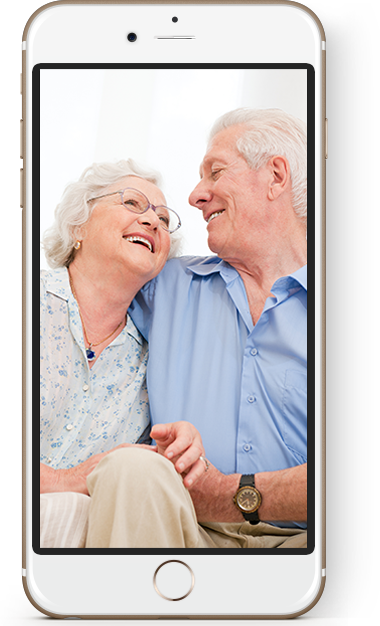 At your appointment time, we send a board-certified technican to your home with a fully-functioning, portable Ultrasound machine to conduct your test on the spot. Due to our high volume of business, we are able to pass on lower prices to you! 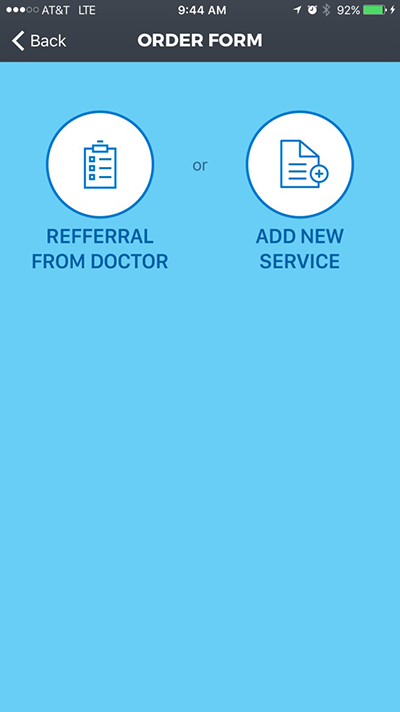 Download our free App today to schedule an appointment. 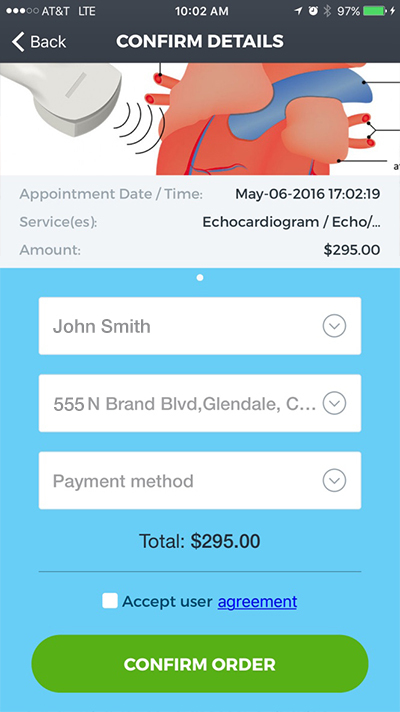 You can prepay for your Ultrasound when you schedule it or you can pay the technician immediately after the test has been completed. 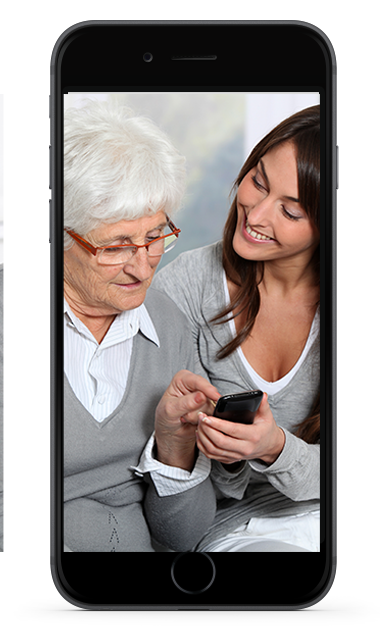 We accept health plans for most insurance carriers as well as Medicare. 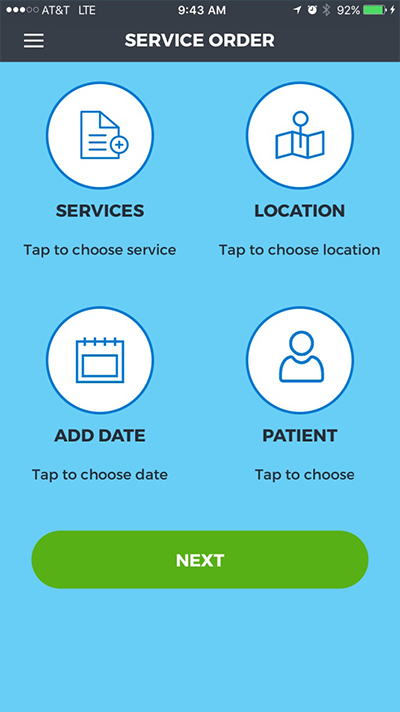 You can cancel any ProDiagnose appointment at no charge with a minimum of 24-hour’s notice before your scheduled appointment time. Our professional Ultrasound technicians and radiologists are rigorously screened,board-certified and licensed to operate in your state. Each is an experienced and competent healthcare professional. Our medical doctors will answer any questions you have on your Ultrasound test results at no charge. With our lower prices, you pay considerably less for a ProDiagnose Ultrasound than you would elsewhere, with or without health insurance. 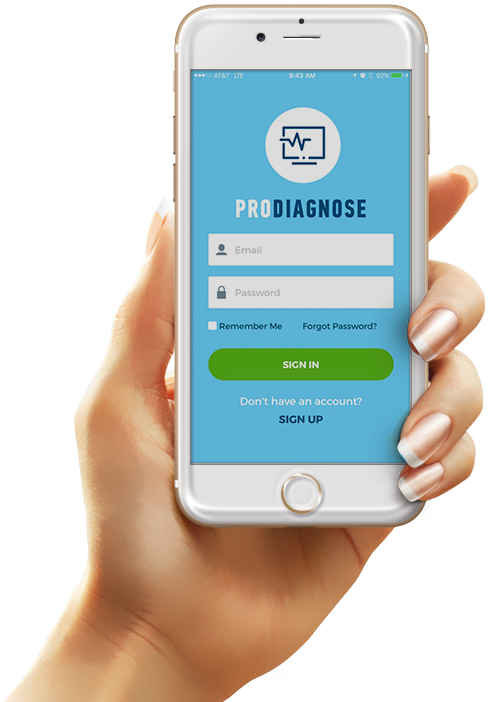 With ProDiagnose, you don’t have to travel to and from an Ultrasound imaging center and then waste more time waiting for your test. Instead, our technician performs your test in the comfort of your own home at your preferred appointment time ﹘ no waiting, no traffic and no hassle.